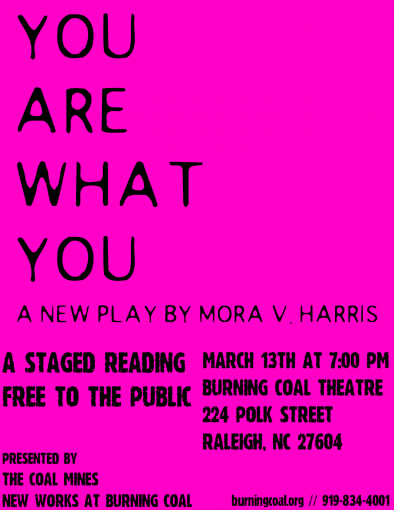 Burning Coal Theatre Company is proud to present a staged reading of Mora V. Harris’ You Are What You. 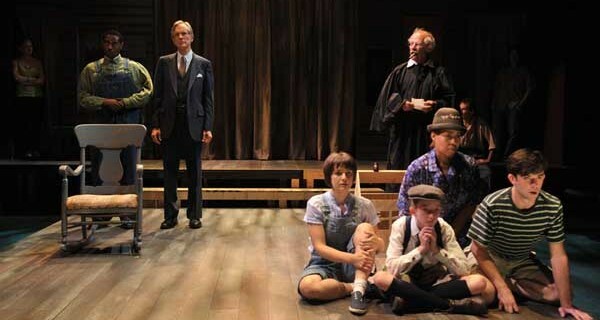 The reading will run approximately 90 minutes, and will be followed by a talkback with the director, cast, and playwright. This reading is free and open to the public. “Remember the taste in your mouth right now. It’s the taste of your family when everything is good.”Competitive eater Francie is desperate to find a way to help her younger sister Trisha eat. When celebrity chef Electra Sinclair arrives on their doorstep, she thinks she may have found just the thing to set Trisha on the road to recovery. Yet Trisha’s illness worsens as she begins seeing visions of a talking Pot Roast, and Francie becomes distracted by an ex hell-bent on exploiting her in a cogent work of non-fiction. The sisters struggle to take care of each other and nourish themselves in this comedy about learning from the things we crave.